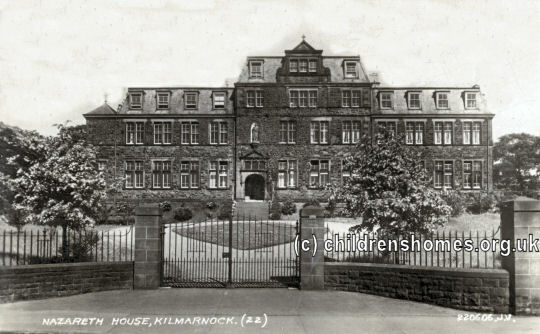 In 1894, the Sisters of Nazareth in Kilmarnock, who for some time had been based in a small house in the town, began to raise the £1,615 required to purchase a house and over two acres of ground at Hawket Park, Hill Street, Kilmarnock. In due course, the property became a Nazareth House, providing care for the aged poor of all denominations and for orphan and destitute girls. In more recent times, the institution operated as a care home for up to 47 elderly residents. Following the home's closure, the premises have been converted to flats known as Derwent House.